Take a walk down memory lane to when your mom outfitted you in ridiculous headbands (er, just me?) 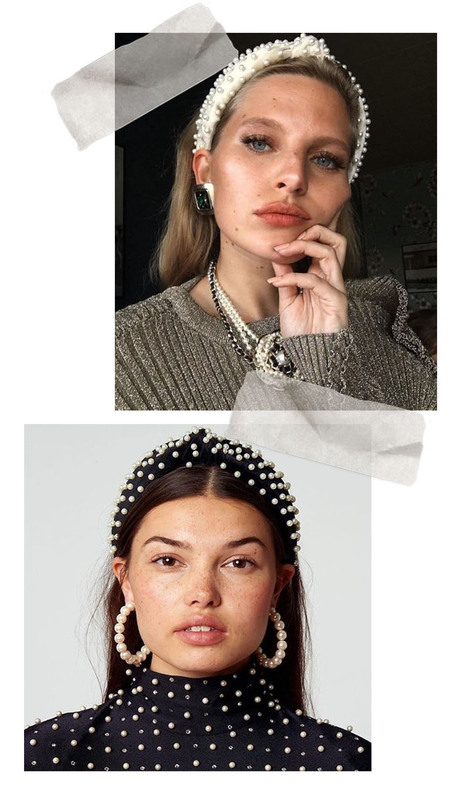 and get into headbands—yes, they’re back! From smooth padded velvet in rich jewel tones, to over the top embellished like this Lele Sadoughi beauty that’ll cost you $150. Not in your budget? Mine either—check out a few budget-friendlier options below. 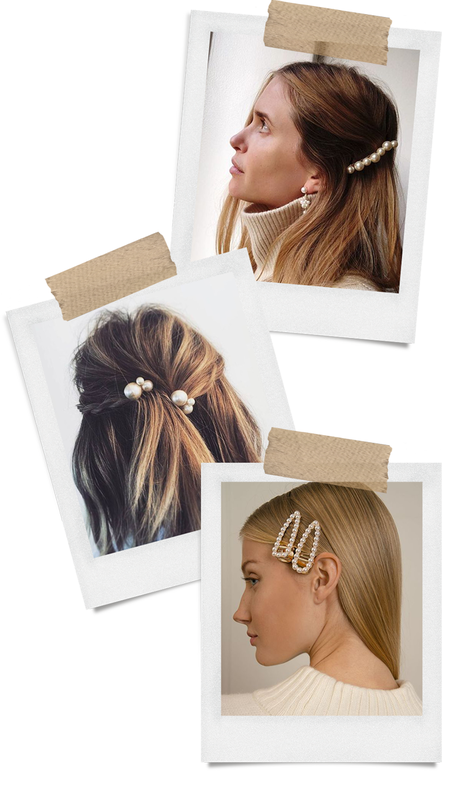 Let your hair make a statement next time you pull your bangs back with bobby pins or clips—just add pearls! This hair trend is so easy you could DIY it, though there are plenty of cheap options on the market—see below! Why not let your hair do the talking? I’m so into this trend—I ordered these for myself recently and can’t wait to rock them. Not only is it a cute outfit “finisher,” but it’s quite the conversation starter!